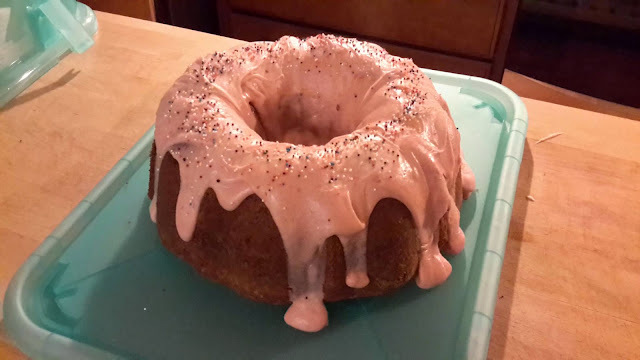 The best part about this new year goal of baking all of the Baked Occasions cookbook recipes? Sharing them with family! This weekend we took a trip up to Gladwin and Midland. Our travel companion? 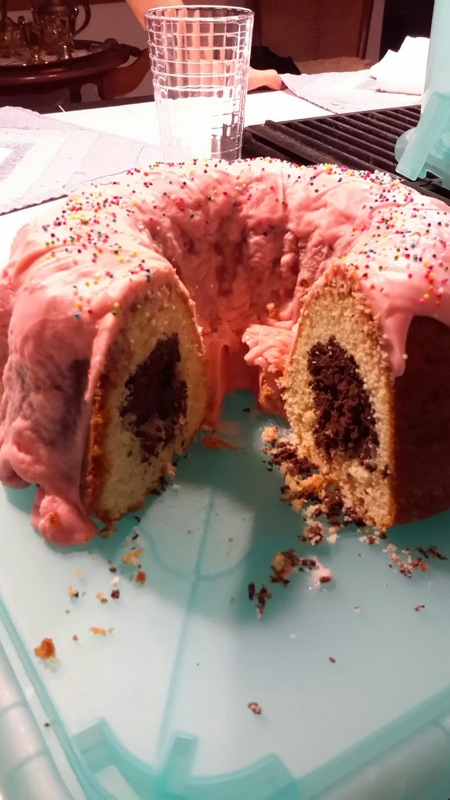 A coconut bundt cake with a dark chocolate and coconut filling - deemed Dolly's Doughnut Cake. Apparently Dolly Parton likes all things coconut, and pink, and sprinkle-y. The coolest think about the cake was that it looked like a normal bundt cake, but then when you cut it open. ..wala! Chocolate Filling! It was quite good and something different. The white part of the cake was a bit dry and with 2 tablespoons of coconut extract, I thought it should taste more coconut-y. But alas, it went over well and we were able to share it with extended family on both sides! Oh and then we came back downstate to 12+ inches of snow! 5 recipes done. 65 to go. Hello February!